Catching a ride to the airport is now easier than ever, thanks to the copious FlyAway buses around town and the growing army of ride-share cars zooming people around Los Angeles. Cheaper, too. An Uber pool ride to LAX from the Westside can cost as little as five bucks a pop; way cheaper than a taxi (at least $35) and even less expensive than the Westwood FlyAway ($10 a head). While the option to get dropped off by Uber or Lyft has been available for awhile, pick-ups were a different story. Thankfully, airport officials voted on Thursday to lift the ban on ride-share pick-ups, indicating that service could begin in September (a few more hurdles from officials like the City Attorney still need to happen). The news is a stunning turn-around from a lawsuit earlier in the week that recommended Uber be suspended in California and fined over $7 million for withholding information (the San Francisco-based company is appealing the decision, so no actions will take place immediately). Cab drivers were, unsurprisingly, furious as airports were their last stronghold of dominance over ride-share services. The taxi operators emphasized that their drivers are carefully vetted and warned that Uber and Lyft’s are not. To allay some fears, officials are placing extra requirements on Uber and Lyft’s airport drivers. 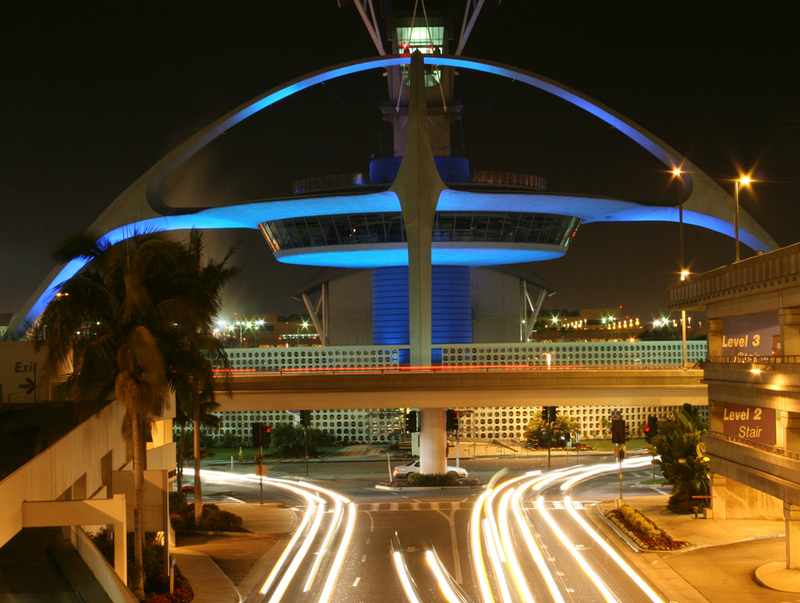 More for circulation purposes than safety measures, airport officials will track their movement around the airport; it will also record some “basic” information about the drivers, according to the L.A. Times. Additionally, they will be asked to wait in a holding area until they receive a ride request and only 40 ride-share drivers will be allowed in the pen. Airport officials may be fond of allowing Uber and Lyft into their domain because there’s a financial incentive for them. With the new rules, drivers will have to contribute $4 to Los Angeles World Airports for each pick-up and drop-off (costs that will likely be passed on to riders). The companies would have to contribute at least $25,000 a month to the agency. With constant modernization plans and an expensive people mover system in the works, that money will come in more than handy.